Biography: Adrienne Burgess is a journalist, broadcaster and policy advisor specialising in family matters. Born in Australia, she is married with one daughter and two step-daughters, and lives in London. Much in demand as a broadcaster and writer, she appears regularly on radio and TV and is the author of FATHERHOOD RECLAIMED and WILL YOU STILL LOVE ME TOMORROW? What is the role of the modern father? How do fathers see themselves? Who do modern fathers use as their role models? 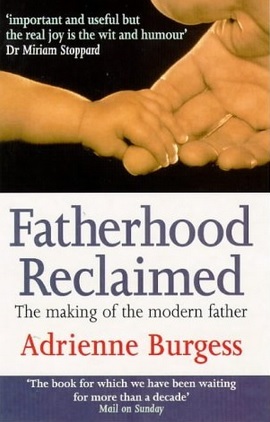 This is an exploration of modern fatherhood based on sociological, anthropological and historical research, drawing on interviews with a wide range of fathers as well as excerpts from diaries and biographies. WILL YOU STILL LOVE ME TOMORROW? will help you find - and keep - the perfect partner. Full of revealing love quizzes and check-lists based on solid research, it charts the predictors of happy (and unhappy) relationships, and allows you to test your compatibility.